AutoGravityA look through various screens on AutoGravity’s mobile-based app. AutoGravity is a California-based startup that aims to change the way consumers buy and lease cars. 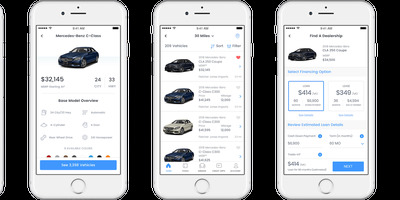 AutoGravity has developed app-based technology that allows consumers the ability to pick out their desired vehicle at their desired price and prequalify for a loan before even stepping foot into a dealership. “Our main goal, very simply, is to radically change the way people buy cars,” said AutoGravity’s Chief Technology Officer Jason Bonifay. Since its national launch in June 2017, more than $US3 billion worth of vehicle financing loans have been requested. The California-based company AutoGravity is trying to change the way people buy cars. The company has developed an app-based technology that lets consumers pick out their desired vehicle at their desired price and prequalify for a car loan before even stepping foot into a dealership. The startup has already generated more than $US3 billion in vehicle financing requested since its national launch in June 2017. “Our main goal, very simply, is to radically change the way people buy cars. 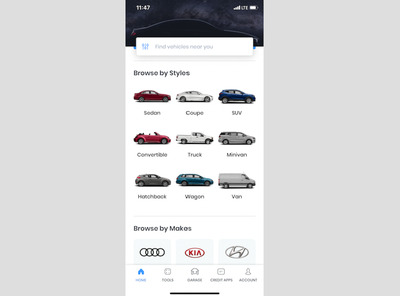 When we do our job right, you’ll be able to use our app, find the car you want, find the financing, and walk into the dealership,” Jason Bonifay, AutoGravity’s chief technology officer, told Business Insider. The app is clean and basic, with only five screens to click through. 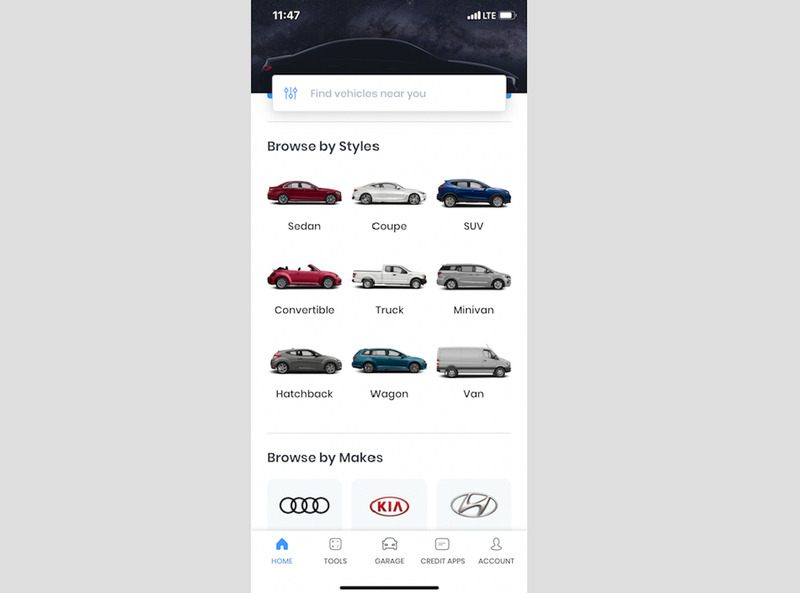 The “Home” screen lets consumers browse cars by price, style, maker, or dealer. The “Tools” screen lets consumers determine the price and terms of the car, and comes equipped with an interactive pie chart to show how much the down payment will affect monthly costs. The “Garage” screen allows users to save and compare their choices. The “Credit Apps” screen then searches for financing per the selected terms and presents users with no less than four offers to choose among. Some have suggested that AutoGravity could do for car-buying what the website Expedia did for travel; that is, completely remove the middleman and put the power of the transaction right in the hands of online consumers. According to AutoGravity it has more than 2,200 dealership partners nationwide (that includes AutoNation and Fletcher Jones Auto Group). It also has lending partnerships with banks including U.S. Bank, TD Bank, and Santander. So far, more than three million users have downloaded AutoGravity’s platform, the company said. Mike Ramsey, an automotive analyst and senior research director at Gartner, told Business Insider that AutoGravity is appealing to users because it helps address one of the worst parts of buying a car. AutoGravity’s two lead investors are Daimler and Volkswagen Credit, who have each provided capital and opened doors into the auto industry for the company. 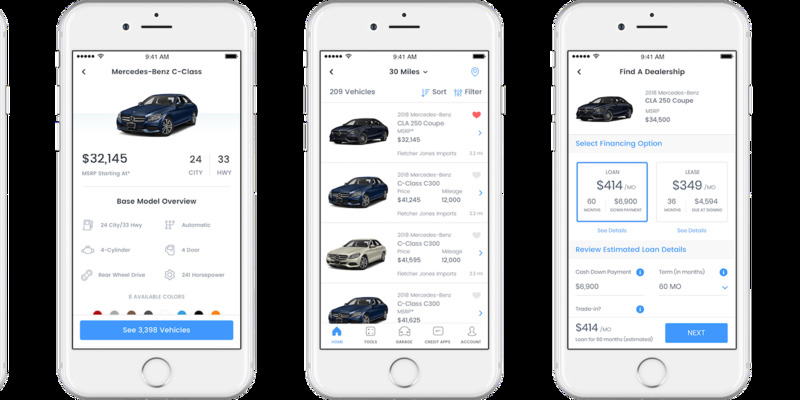 AutoGravity’s technology now powers white-label financing platforms like the Volkswagen Credit app, Kia Motors financing app, and Audi Financial Services. While AutoGravity is an independent company, the company initially emerged as an arm of Daimler and still has deep connections to the company: Benedikt Schell, chief experience officer at Daimler Financial Services AG, is chairman of AutoGravity’s board of directors; CEO Mallmann had worked at Mercedes-Benz in a variety of auto-finance capacities since 1998. AutoGravityA look at the AutoGravity headquarters in Irvine, California. “The potential for AutoGravity’s growth is immense. We have very strong shareholders who believe in what we are trying to do along with a talented pool of employees dedicated to delivering a transparent car-shopping experience with no surprises,” Alex Mallmann, AutoGravity’s CEO, told Business Insider. 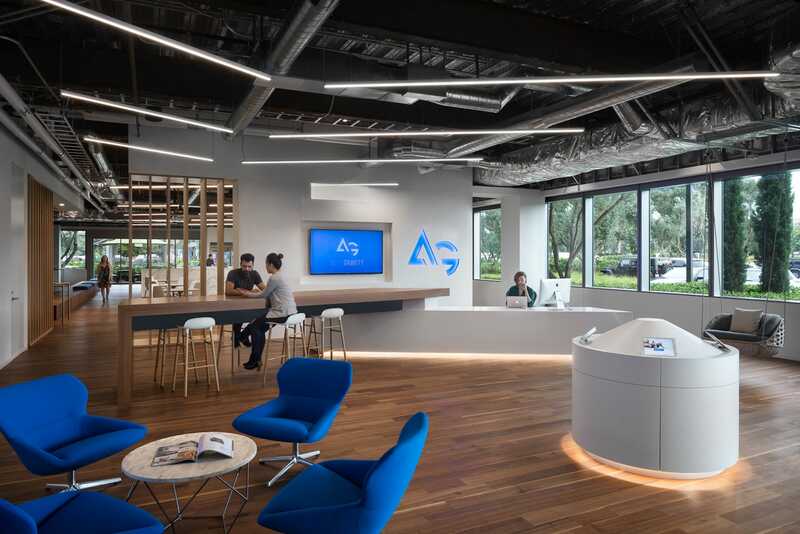 The company says it started with only five employees in January 2016, but today has more than 130 professionals ranging across fields like product engineers, technical operations, legal, and lender partner sales division. Bonifay didn’t discuss the valuation of AutoGravity, but said the company raised $US80 million in capital investments to date from Series B and Seed Round funding. When asked if they plan to go public, Bonifay had no comment. One secret to the app’s growing appeal is it never charges the consumer buying the car. Instead, AutoGravity makes money one of two ways: either from lender attribution fees, paid per funded loan; or by charging dealers a subscription fee for the transactable deals the company sends them. These fees range based on the value the app drives to each dealership. In return for the fee, lenders are brought more clients and car manufacturers are provided with a digital partner. Dealers who join AutoGravity’s network gain an avenue to “sell cars more profitably,” according to Bonifay.